In this new and well-written biography Faith Cook relates John Bunyan to the turbulent times through which he lived, surviving two periods of imprisonment in Bedford prison, sustained by his faith, determined, as he himself wrote to live upon God that is invisible. Faith Cook avoids the temptation of merely regarding Bunyan as one of the great figures of English literature. That he certainly is. But he is so much more a physician of souls, much-loved pastor and powerful preacher of the gospel of grace. The authoress skillfully relates her subject to the political history of his times, in which nonconformists won a greater measure of freedom to worship according to their understanding of the Bible during the Cromwellian period, only to be restricted again after the Restoration of the monarchy in 1660. 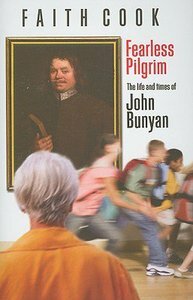 About "Fearless Pilgrim: The Life and Times of John Bunyan"